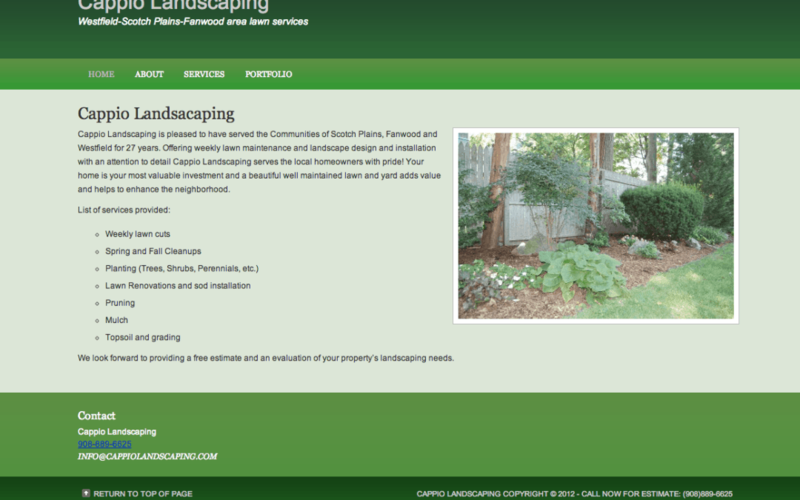 Cappio Landscaping is a Scotch Plains New Jersey Landscaping business. Cappio Landscaping services Westfield, Fanwood, Scotch Plains area for lawn services, spring and fall clean up, planting, mulch and more. Before I worked with them, they had no website. No branded email. Today they not only have a website but a branded email with Google Apps. 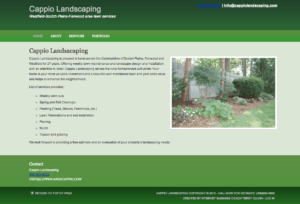 Cappio Landscaping website is a basic plan that works for the company and gives them a marketing exposure that they can grow.